Ormiston Denes Academy was celebrating this week after being honoured with a national Quality in Careers award, recognising the outstanding careers advice it provides to its students. Credited by Prospects, the academy has achieved the highest, Gold-level accreditation, which is part of the Quality in Careers Standard award programme. The standard is awarded to schools and education providers who demonstrate the importance placed on careers, and the vital support given to students to help decide about their next steps after leaving school. Particular praise was given to Carole Budgen, careers lead at the Academy in Yarmouth Road, for her hard work and commitment to maintaining high standards of careers advice and support. 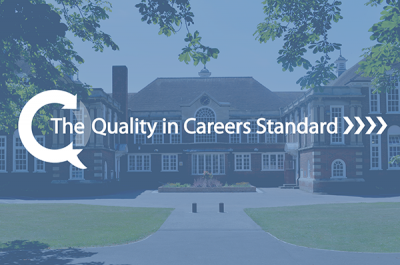 Achieving the national Quality in Careers Standard demonstrates how the academy embraces, promoted and endorses quality careers education and recognises the part it plays in the overall successful of both the academy and its student. Ben Driver, principal at Ormiston Denes Academy, said: “I am delighted that the excellent careers provision at the academy, led by Carole Budgen, has been recognised with the highest accreditation, the Gold standard of Quality in Careers. Posted in Academy news on 7th August 2018.